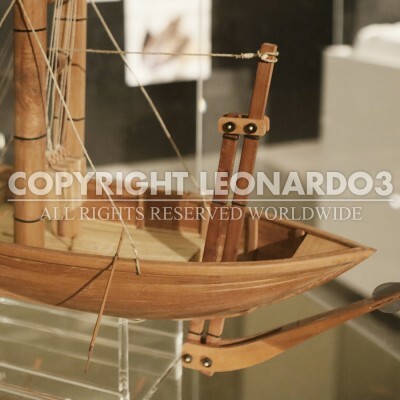 Among the various military, artistic and research subjects listed by Leonardo in Manuscript B, folio 90v contains a battleship with a hidden underwater mechanism. 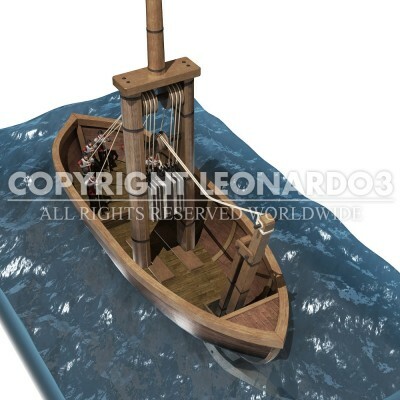 Leonardo drew the enemy ship whose hull gets rammed underwater. The ram is connected to a lever system that juts out from under the boat and is in turn connected to a pulley system activated by the sailors. In the description Leonardo also recommends using sharpened heavy tree trunks to sink the enemy ship. If chains or ropes are used to hold the enemy ship while striking it, they must be easy to release when the ship sinks. The mechanism in the center of the ship has a large counterweight that helps the ram strike repeatedly and powerfully.